The US has sent a new batch of armored vehicles and hardware to the Syrian Democratic Forces (SDF), according to an SDF source who asked to remain anonymous. In an interview with Sputnik Turkey, the SDF representative shared the details of this new delivery. “Cannon batteries, armored vehicles and hardware were delivered to the south of Kobani [north of Raqqa] in 43 wagons across the territory of northern Iraq, which will be used in the ongoing operation to free Raqqa,” the source said. According to him the weapons that were sent by the US earlier weren’t enough for the Syrian Democratic Forces. “We are about to encircle Raqqa and we must enter the city on armored vehicles in order to be able to defend ourselves against snipers and numerous mine traps left in the city by Daesh,” the source explained. Hence, the new batch of armored vehicles may reinforce the ongoing operation for the liberation of Raqqa. The source further said that the United States intends to send another group of soldiers into the districts of Raqqa in the near future. “America will send military reinforcements to operate the heavy artilleries during the operation. The units sent by the US are made up of military personnel who earlier took part in conflicts in Iraq, Afghanistan and other ‘hot spots’,” the source said. He added that currently there are more than a thousand US military personnel present in the region. Soon their number will increase. 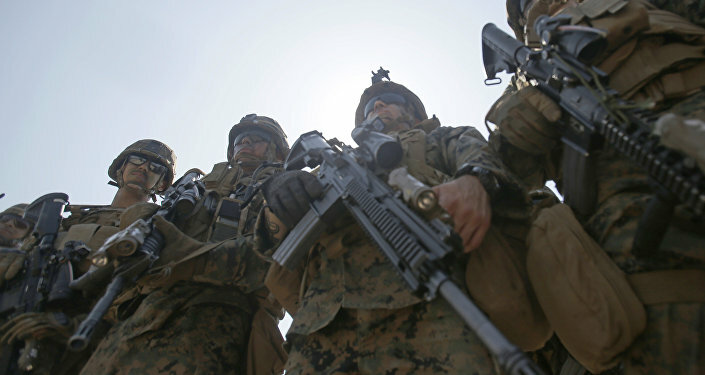 Earlier, a Kurdish source told Sputnik that a unit of the US Marine Corps arrived at an airfield in the al-Hasakah province in Syria's north. According to the source, the unit was transported on helicopters from Iraqi Kurdistan to the Rumeilan airfield located near the Syrian city of Qamishli. Last week, a representative of the US-led coalition, John Dorrian, confirmed that the US is going to deploy Marine Corps units and rangers in Syria. 400 troops are expected to arrive. Hitherto, the US military contingent in Syria has been comprised of about 500 people. 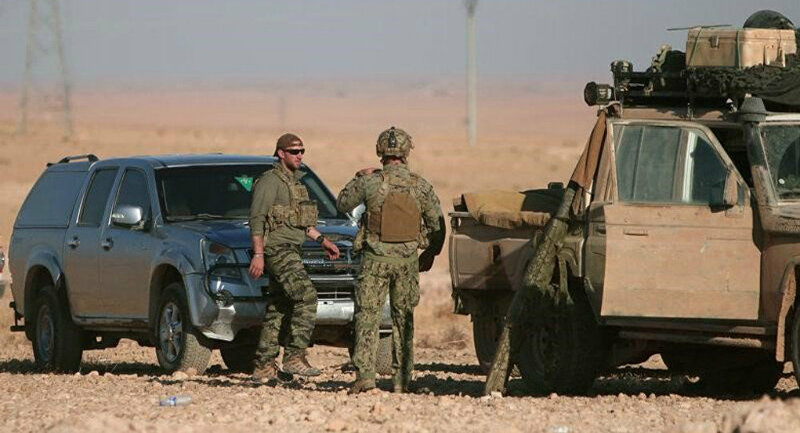 The United States deployed US marines to the Syrian city of Raqqa without the permission of the Damascus government, Central Command chief Gen. Joseph Votel said earlier. He said that US Marines have been deployed to Syria to make sure coalition troops on the ground receive necessary support in the fight to retake Raqqa from Daesh. The marines will be supporting US partner forces on the ground that lead the offensive to liberate Raqqa from Daesh codenamed Operation Euphrates Rage. The operation was launched by the Kurdish-led Syrian Democratic Forces (SDF) on November 5, 2016. The SDF was formed in 2015 as the defense force of northern Syria's de facto autonomous Rojava federation and is supported by the US-led coalition. The group is among the forces fighting Daesh and brings together Kurdish, Arab, Assyrian and Turkmen fighters, among others.